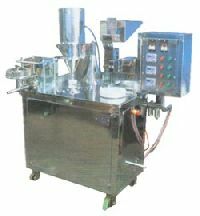 Type of Bags : Open mouth preformed bags/ pouch of LD,PP etc. 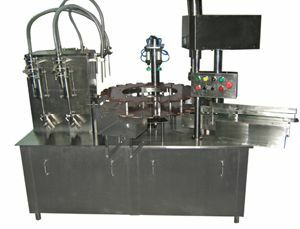 Material Construction : All contact parts SS304 & other parts of MS. 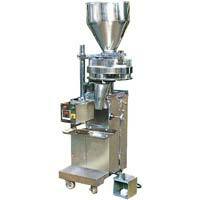 Product characteristics : Free flowing granules solids. 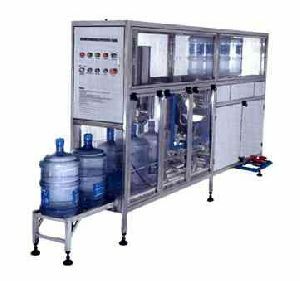 Air requirement : 1 HP, 8 Bar pressure, 2 CFM. 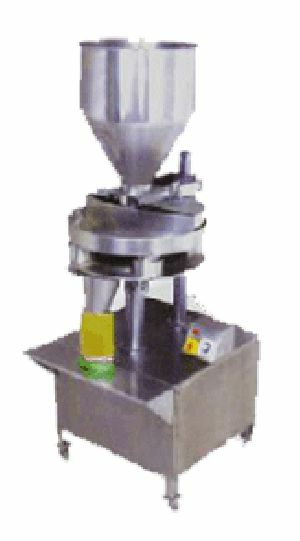 Packing Material : Pouch, Jar, Bottle. 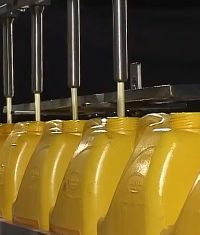 Speed : 6 to 25 Fills Per Minute. 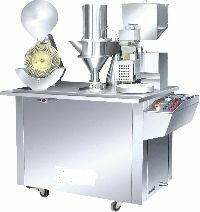 Vacuum Pump : 0.75 Kw./ 380 V.
Total Power : 1.5 Kw Hr./ 380 V.
Semi Automatic Filling Machine For Powder. 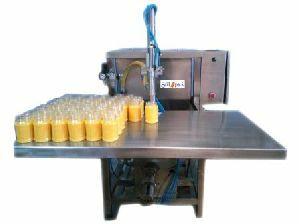 Owing to immense experience in this domain, we became efficient in providing quality Semi Automatic Filling Machine (SA-060) . 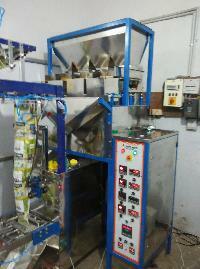 Buyers can rest assured; the delivery of consignments will be done within the stipulated time. 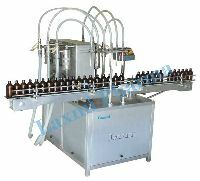 Our products can be ordered in bulk as well as in retail. 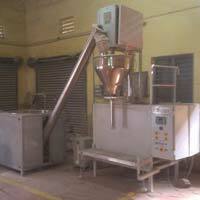 Highly Suitable For : Various Powder, Granules, Tea, Coffee Dhana Dal, Tablets, Namkeen, Etc. 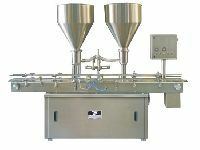 PLC Based Filling System. 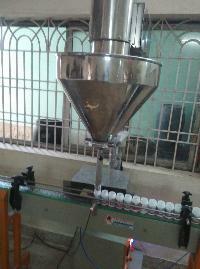 Having digital volume and weight display. 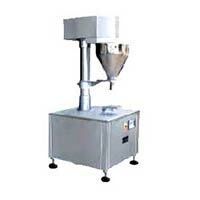 Therefore quick change over for different volume. 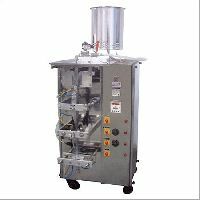 No Jar no fill system. 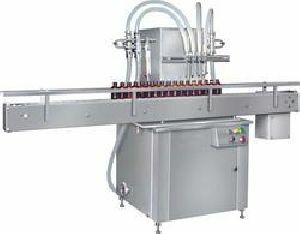 2 to 12 head available. 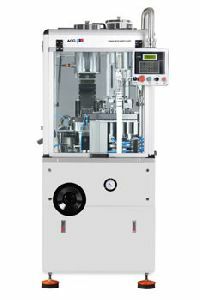 Pneumatically operated. 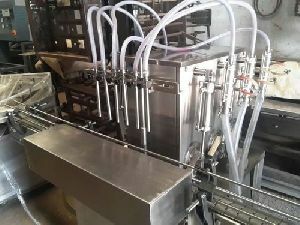 Contact parts in stainless steel 304/316 quality, with S.S. 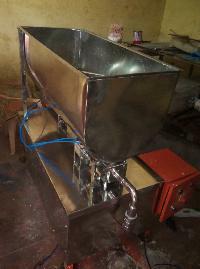 Slate conveyor. 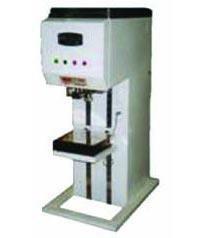 Flame proof model available, Power 230 volts, 50Hz. 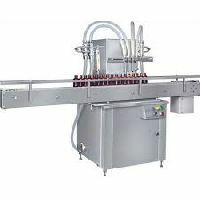 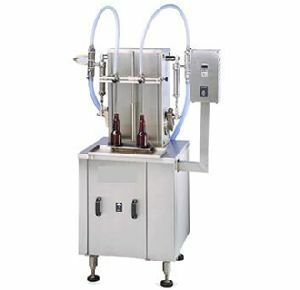 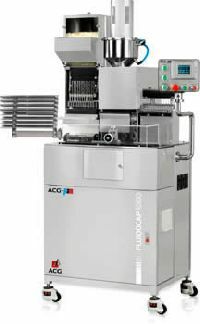 Automatic Filling Machine to pack bottle filling. 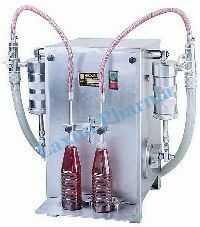 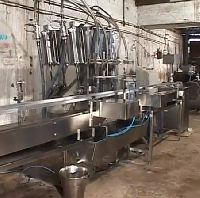 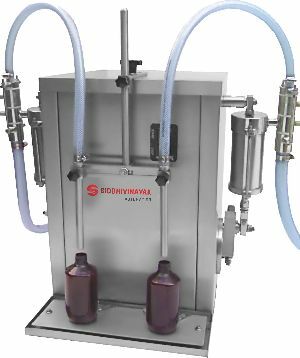 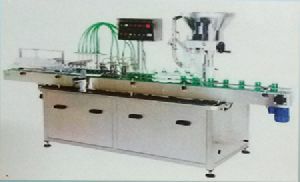 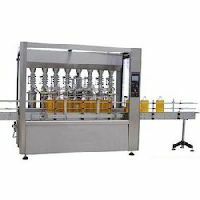 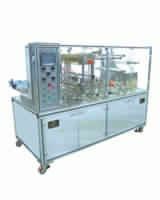 Automatic Filling Machine to pack bottle filling..
We are engaged in providing an extensive range of Automatic Liquid Filling Machine (4 head, 6 head and 8 head models). 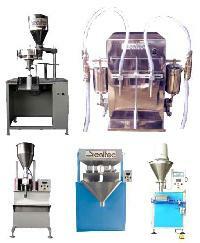 These machines are widely used in various industries for filling applications. 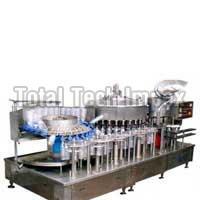 The machines offered by us are manufactured using quality components with latest technology. 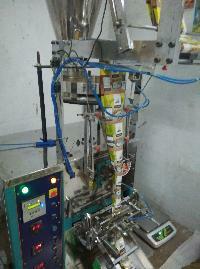 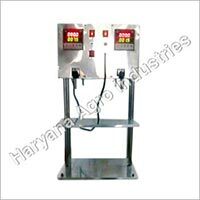 Other than the automatic packing machine Anubhavudyog also provides high efficiency, maintenance free machines. 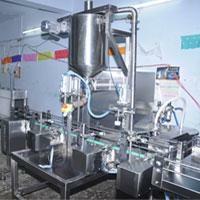 Anubhavudyog is best packing machine supplier that provides every type of packing machine. 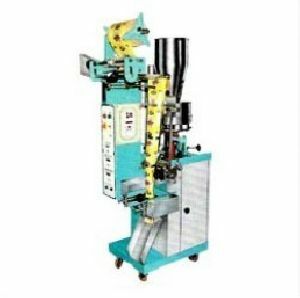 One can select from different machineries with different functions such as filling machine, sealing machine, wrapping machine, labeling machine, coding machine etc. 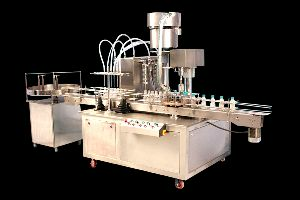 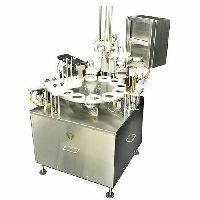 automatic filling machines that offer the best packaging solutions for an assorted range of cosmetic products. 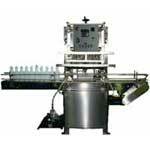 The packaging solutions adhere to providing eco-friendly and contaminant free packaging. 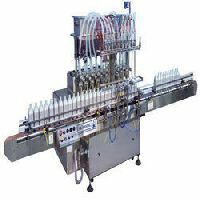 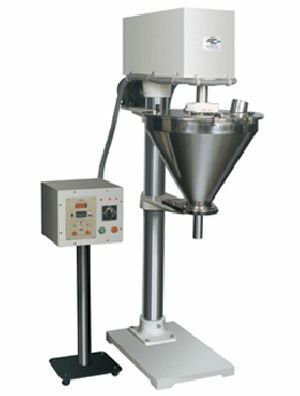 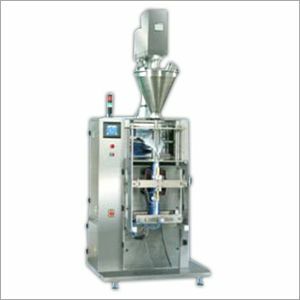 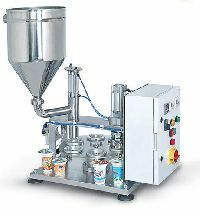 Shampoo filling machines like the Verical Form Fill Seal Multilane series provide a wide range of high quality packaging formats for different products like pouches, strips, tubes, and sachets.